The City of Escondido is committed to furthering fair housing efforts by promoting fair and equal housing opportunities for its residents. 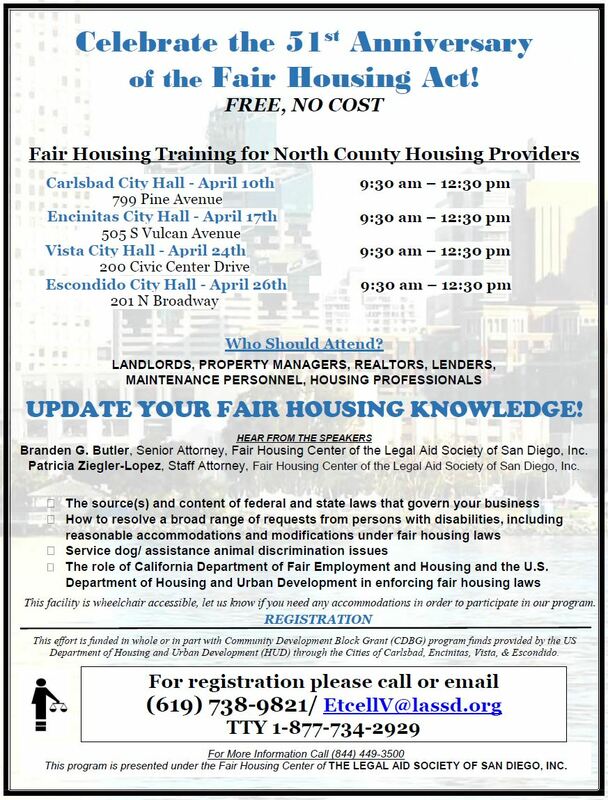 It has committed to highlighting the Fair Housing Law, Title VIII of the Civil Rights Act of 1968 and the California Fair Employment and Housing Act (FEHA), by continuing to address discrimination in our community and to support programs that will educate the public about the right to equal housing opportunities. If you have any questions regarding fair and equal housing you may contact the City's Fair Housing Hotline at 844-449-3500.